Usually when people think about spandex, mountain bikers do not come to mind. Normally this is reserved for road bikers. But many mountain bikers do wear them. Why do mountain bikers wear spandex? They wear spandex because it is cooler, more comfortable, and it wicks away sweat faster. Plus spandex won’t get caught on your saddle during a drop off or going off a jump. Finally, spandex improves performance, is lighter than baggy shorts, and supports the crotch area. There are many different types of mountain bikers and various types of terrain to ride on. Knowing which situation to wear spandex will help you to get the most benefit from them. Many mountain bikers ride through dense forest during the spring and summer months. This is the time when trees, shrubs, and bushes are at their fullest. Especially if you are riding on narrow trails like singletrack your clothes could get caught on a branch or twig which is extended out over the trail. Spandex is thin and smooth, there is nothing that a twig or branch can get caught on. Baggy shorts or pants on the other hand could get caught on a branch or twig as you ride by. This will distract you, cause you to lose speed, reduce biking handling, or run you off the trail. During the summer months depending on where you are riding, it can get very hot. Sometimes the temperature gets up to 90 or 100 degrees Fahrenheit. Wearing spandex will keep you cooler. There is a real danger of heat exhaustion when riders are biking out in the heat. Not only does spandex keep you cooler because it is thin and light. But it is able to wick away your sweat fast. As your sweat evaporates away from your body you will feel cooler and more comfortable. You’ll feel more comfortable because you will be dry of sweat. Riding on technical trails is fun, but they are also challenging, they are not suitable for beginners. 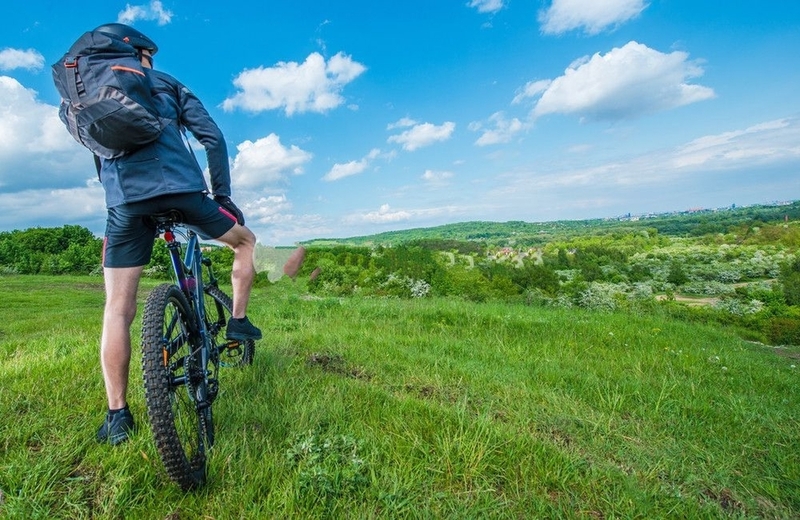 Intermediate and advanced riders need to be able to move their bodies and change their riding position at a moments notice in order to handle technical trails. Spandex allows riders more freedom of movement on the bike. This will improve their performance and bike handling capabilities. Other types of clothing can get caught or hooked on to the saddle or seat of your bike. This is especially dangerous when going over a drop off, going fast around a corner, or going over and up on a jump. When you are riding in a race or you just want to go fast you don’t want to have any distractions. You want to have your full focus and attention at going as fast as you can. Spandex is comfortable, light, and gives you a free feeling and full range of motion. It also fits tightly on your body supporting your buttocks, thighs, and hamstrings. Spandex gives you a compact, secure feeling around your body. It is also aerodynamic, there will be less wind resistance compared to other types of clothing. For guys it also supports the crotch area, keeping it in its proper position. All this combined will increase your speed. 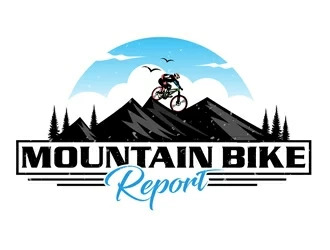 Since you are going to be wearing spandex every time you go mountain biking you will need to clean them regularly the right way so you don’t ruin them. By ruin them I mean your spandex shorts or pants loses its elastic characteristics. It does not stretch anymore and them return to its original size. Hand washing spandex is the best way to wash it. If you put spandex in a washing machine it will get stretched out too much. If you have to use a washing machine use the most gentle cycle. But, personally I would not risk it because it will be cleaned many times per week because we use it often to go mountain biking. Use cool water to wash and rinse your spandex clothing. Don’t use washing detergent which contains chlorine bleach or a fabric conditioner. If you do it will damage the fibers of the spandex and stretch it out. Use a mild detergent which has no chlorine bleach, Woolite or Deft works well. Using both hands grab different parts of the spandex and move your left hand up and your right hand down, then reverse the movement. Do this quickly but gently to hand wash the spandex. You can also knead the spandex like dough. Don’t twist or wring out the spandex when you are washing it. Don’t use any type of fabric softener because it will leave a residue on spandex. This residue will attract bacteria causing a bad smell. Plus it will dull the finish and color. When you are finished washing, hang up your spandex shorts so they can dry in the air. Do not put them in a drying machine this will again stretch them out and damage the material. Air dry them away from direct heat and the sun. Be sure to hang them up, do not dry them on a flat surface. If you need to remove any stains, do this first before your general wash. Soak the stain in cold water, add a little bit of mild liquid detergent right on to the stain. Gently rub out the stain, be careful not to scrub harshly. If you have been mountain biking all week with spandex but you have not been cleaning it too often it will begin to smell. In this case fill up a bucket with lukewarm water and drop in your spandex pants. Add bicarbonate of soda, around a quarter of a cup and let it soak overnight. Rinse it out with cool water and air dry it by hanging it up. For trail riders the best type of spandex is 4-way stretch spandex or lycra. Four-way stretch means you can stretch the spandex lengthwise and then it will recover its former shape. Plus you can stretch the spandex width-wise and it will also recover back to its former shape. These are its four ways of stretching. There are also two other types of spandex fabric called one-way and two-way stretch spandex. One-way allows you to stretch it from side to side but it does not return back to its original shape. Plus you can not stretch it length-wise at all. A two-way stretch means you can stretch it from side to side and it will return back to its original shape. Plus you still can’t stretch it length-wise. So four-way stretch is the best type of spandex for mountain bikers because it gives you the most range of motion when you wear it. One example of this type of spandex is by Sponeed, a bike clothing company. They make men’s and women’s cycling shorts. It is made of 80% polyester and 20% spandex. It has a four-way performance stretch which is perfect for mountain bikers. It dries very fast because of its moisture wicking feature, and it has antimicrobial characteristics which reduce odors and bacteria build up. It is equipped with silicone leg grippers which help to keep the shorts in the right place. The material is very breathable and for extra comfort and protection it is padded. These pads are in the crotch area and lower back area. This will help to support the crotch while on the saddle and support the back and crotch from any impact from the trail. The two main considerations to look for when getting spandex shorts or leggings is to make sure the material is made up of at least 18 to 20 percent spandex. I have seen some shorts have only 3 or 5 percent spandex. The second is to make sure you get four-way stretch shorts or pants.